Watermelon Juice – a refreshing, cooling, rehydrating and rejuvenating juice, packed with vitamins, nutrients, and minerals. It’s so sweet and delicious too, perfect for hot summer days. Ever since I discovered the magic of watermelon juice, I have never looked back. That is why watermelon is in the top 5 of the list of my favorite fruits. We all know that staying hydrated is so important especially in the hot summer days. Apart from drinking water, I find that drinking watermelon juice keeps me so hydrated and I love it. 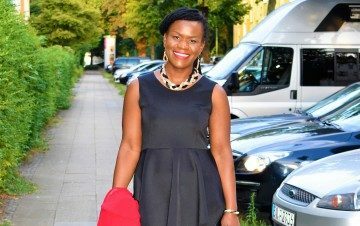 Every summer I embark on a cleansing journey, and this watermelon juice comes in handy. Watermelon is the most cooling and rehydrating fruit because of the high water content. Just chill it in the fridge before juicing it, and you will have the most cooling, rehydrating and delicious watermelon juice. Don’t forget to throw in some mint leaves for a perfect minty touch. Make drinking watermelon juice a habit if you have easy access to watermelons and transform your health for the better. I love drinking watermelon juice for so many reasons than I can count. One of the reasons is that watermelon juice is so rehydrating and cleansing. Watermelon improves the function of the kidney due to the high water content and its mild diuretic effect. That is why you need frequent trips to the bathroom when consuming watermelons? Watermelon is also very low in calories due to its high water content, yet offers essential nutrients and minerals. It makes watermelon perfect as a weight loss fruit. It is very filling too and can easily replace a meal. Also, watermelon relieves pain and muscle soreness and helps you when exercising. Did you know that there is a substance in watermelon named Lycopene which is an important antioxidant? High intake of lycopene reduces the risk of heart disease, and osteoporosis, as well as protection from breast and prostate cancer. Another benefit of watermelon includes improving digestion. It goes back to the high water and high fiber content. It also boosts Eye Health due to essential nutrients like Vitamin A, Vitamin C, and beta-carotene. Last but not least, watermelon provides the body with potassium and magnesium which are two critical nutrients used to help remedy high blood pressure naturally. Lastly, watermelon has plenty of vitamin C and vitamin A — and both play an essential part in maintaining the health of skin, especially as we start to age. Aren’t these fantastic reasons to start indulging in watermelons and drinking watermelon juice? I think so. So make yourself some watermelon juice today and start reaping the benefits. Dodge seedless watermelons. I know it is convenient to grab the seedless watermelon but forget convenience and think health. The watermelon seeds are full of nutrients and minerals. Include those when making your watermelon juice and reap the benefits. Also, seedless watermelons mostly expensive compared to their seeded counterparts. Always go for organic when you can. The watermelon rind has the highest concentration of the minerals and nutrients. If you are planning to juice the skin which I suggest you do, go for organic. This watermelon juice is so easy to make! Just wash and peel your watermelon. If using organic watermelon, you can incorporate the watermelon skin. Slice it in small pieces and place in a blender with some mint leaves. The mint leaves add a minty freshness to the juice, that is so irresistible. Finally, pass the liquid through a sieve, and voilà, your watermelon juice is ready. 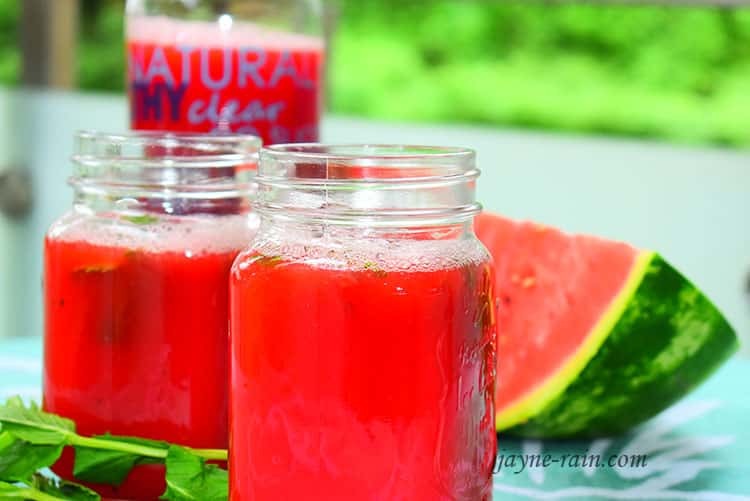 So if you’re looking for a healthy and family friend juice, try this watermelon juice. This excellent juice is heavenly and so damn easy to make! Start making it today and watch your body transform for the better. In case you want to switch it up a bit, try this Homemade mango juice. If using a juicer, use the same ingredients and follow the instructions on your juicer. Instead of adding ice cubes in the juice, try chilling your watermelon before juicing it. The juice stores for up to 3 days in the fridge. Wash and slice your watermelon. Peel it and slice into pieces small enough to fit in your blender. Place the pieces in your blender and add mint leaves. Pass the juice through a sieve or cheesecloth. 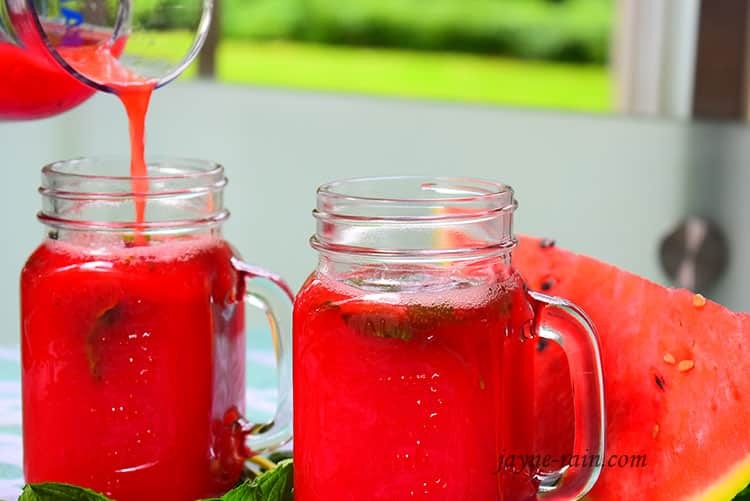 What do you think about this watermelon Juice recipe? Have you tried it out? Meet me in the comment section below and share your thoughts because I would love to hear from you.